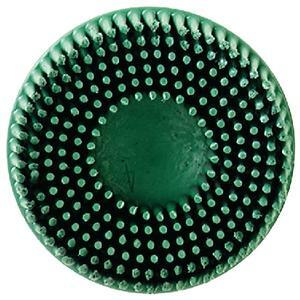 Molded abrasive bristles that are designed to conform to the workpiece. The discs use the quick 1/2 turn on, 1/2 turn off Roloc fastening system. 5/8" Taper. Removes coatings, sealant, and adhesives quickly. Compatible with right angle die grinders.